On November 14, 2018, band students from Region 4 and 21 met at Longview High School to compete for a place in the All-Region Orchestra. 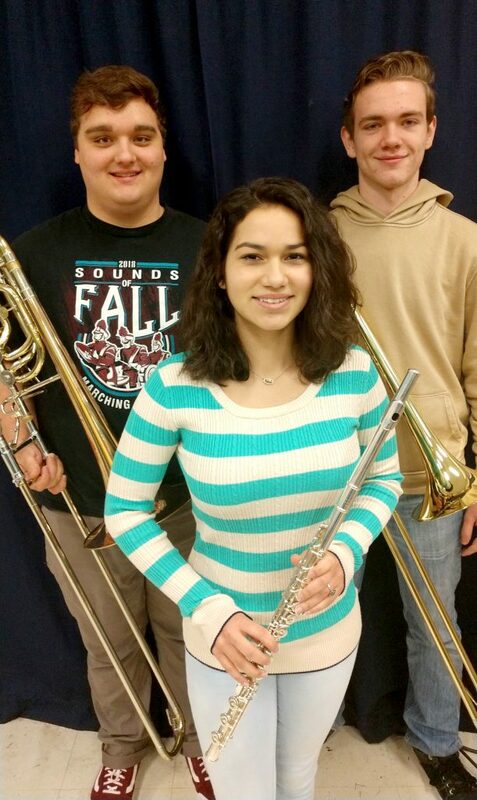 North Lamar High School had three students earn a place in the ensemble that performed December 1 in Longview. Pictured in front is Jayden Franklin, first chair flute. In back are Dylan Holiday, first chair bass trombone, and Colton Wilson, first chair tenor trombone. “With only about twenty-five places in the ensemble, the competition is very tough,” said North Lamar Associate Band Director Jason R. Smith, “The students are competing mainly against all the 5A schools throughout East Texas.